Here is the official user's manual about the VPN-over-DNS Perl client. Follow those step-by-step instructions to explore the many features available with VPN-over-DNS. Before being able to use this manual, you need to first install Perl and the VPN-over-DNS Perl client as described here. In case you would like to install the Perl client without having any Internet access, here is a hack to bootstrap the installation using only DNS queries! Useful when you can access really nothing but dig (or nslookup) and a Perl runtime, not even root-level permission. The VPN-over-DNS Perl client is an open source GPL-licensed free software. It is made of only one file: vpnoverdns.pl. On this page, you will discover the many activities you can do with it. 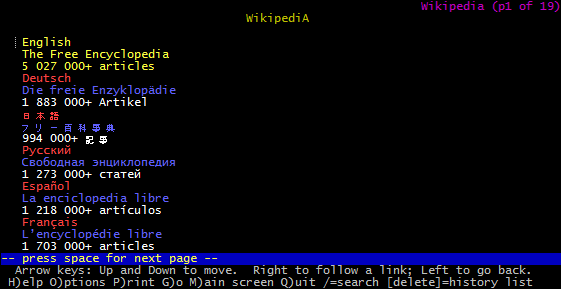 Note that two types of command-line switches can be used: parameters and options. Only one parameter can be used at a time, when launching vpnoverdns.pl in order to select a specific action (channel forwarding, mail management, ...). Many options can be used simultaneously, with one parameter. Some options are available only when using some specific parameters, others can be used any time. Depending on their meaning, parameters and options may or may not be followed by a string or number. Using the [-h|--help] parameter, you can get a full list of available options and parameters. Most of them are described in the following sections. - anonymous user: you can tunnel SSH sessions to remote hosts on port TCP/22 (each SSH session can only last 2 minutes); you can tunnel a local port to a free open web proxy, in order to browse the following sites: http://www.wikipedia.org, http://www.nytimes.com, http://elpais.com and http://www.lemonde.fr. - registered user: you can tunnel TCP sessions to any IPv4 host/port on the Internet (and thus tunnel SSH sessions that can last as long as you want); you can tunnel a local port to a free open web proxy, in order to browse any web site (http/https); you can fetch and send mails from your preferred provider (among GMail from Google, HotMail/Live from Microsoft, FastMail from Opera and Yahoo! Mail from Yahoo!). The only way to create a registered user account and select a mail provider is to create and configure this account with the Android client: apply the procedure described here. It is free and only needs you to install the Android client on an Android device from the Google Play Store. It can be performed in less than two minutes. Problem with LWP::UserAgent perl module => see '-u' and '-A' parameters instead. Problem with LWP::UserAgent perl module => see '-u' and '-A' options instead. Now that you are a registered user or have associated the client with an anonymous account, your can use the Perl client to forward a given local TCP port on the local host to the given host and port on a remote side. The channel is encapsulated on top of DNS queries to the VPN-over-DNS server farm and is joined to a TCP connection to the remote host/port. This works by allocating a socket to listen to port on the local side, optionally bound to the specified bind_address. Whenever a connection is made to this port, the client forks a new background process that connects to the server farm, asking to be joined to a new TCP connection established with the remote host/port. Use the [-L|--local] parameter followed by the optional bind address, the local port, the remote host and the remote port according to the following template: -L [bind_address:]port:host:hostport. If you do not specify a bind address, only local connections can be done to the local port. If you specify a bind address corresponding to a local interface connected to some network, connections from remote hosts to this address will be possible. If you do not specify any bind address but use the [-g|--global] option, the Perl client will listen on every interfaces and remote connections from remote hosts will be allowed to connect to local forwarded ports. SSH tunneling can be done by launching simultaneously two shell commands, like the previous example. But you can do it more easily using only one command, asking the VPN-over-DNS client to setup the DNS tunnel in a background process and to execute the ssh command in the foreground. For this purpose, just specify the target hostname with the [-S|--ssh] parameter. Optionally, you can also specify some SSH parameters using the [-o|--sshoptions] option. To perform reverse channel forwarding (listening on a remote TCP port and forwarding the data to a local port on the local host), just use SSH forwarding with the -R SSH option and add an optional remote command with the [-C|--sshcommand] option of the VPN-over-DNS client. To configure your mail settings, you need to use the Android client, even if you only want to use the Perl client in the future. This procedure is required for the security of your credentials (see below). Just follow those steps: 1- download the Android client on an Android device, it is available for free here on the Google Play Store for phones and touchpads; 2- create a registered user account with the Android client as described here; 3- configure your mail provider settings with the Android client as described here; 4- check your mails once with the Android client as described here; 5- associate your Perl client with this registered user account, using the [-i|--initialize] parameter (see the beginning of this page); 6- you can now use the Perl client to read or send mails. For your security, your mail provider settings are not stored on the client side. Your mail settings include your mail provider, your login (usually your email address) and your password to connect to this mail provider. They allow the VPN-over-DNS server farm to authenticate to this mail provider. Here is the way they are protected: - They are stored on the server and can only be retreived, set or modified using the Android client (you can trust the Android client since its binary code is signed, see below). Moreover, the password can never be retrieved by the Android client, it can only be set or changed. - The settings are exchanged between the Android client and the server farm using an SSL/TLS channel protected by an X.509 certificate signed by UserTrust/Comodo, for the client to be sure it has not connected to a fake server (protection against the Man-in-the-Middle attack); - You can trust the VPN-over-DNS Android client binary code and safely fill-in your mail settings since the binary code is signed and this signature is checked by the Google Play Store client app on your Android device. Never download the client from another store. Note that the client will not work if downloaded from another store or directly installed by another way: the client is free but nevertheless implements the security scheme provided by Android to check that is has not been downloaded from another store than the officiel Google Play Store; - Your mail credentials are sent by our VPN server farm to your mail provider using a secure TLS channel when sending mails (using the STARTTLS SMTP service extension - see RFC-2487 for more information) and using also a secure TLS channel when retreiving mails (POP3s or IMAP4s, depending on your provider); - Note that we are not currently using OAUTH to avoid storing your password because of a lack of support by most of the mail providers when we opened the VPN-over-DNS service. Later, we encountered providers implementing OAUTH incorrectly (for instance mixing features of different versions of the specification, or not following the latest specification version when implementing some features). With the final specification of OAUTH 2.0 and the work of some major providers on this specification, we expect to support it one day in a not so far future. You can download your mails using the [-c|--checkmails] parameter. Note that the mails are not erased from your mail provider. The Perl client first ask the VPN-over-DNS server to connect to your mail provider and download the latest new messages (use the [-v|--verbose] option to display the many steps involved in this process). This can take up to some minutes, depending on the number of new mails. When new mails have been downloaded, they are fetched by the client, that dipslays their content on the standard output. Subject: Welcome back on VPN-over-DNS! Please, connect on http://www.vpnoverdns.com/doc.html to get a full documentation on our free services. To get rid of this error message, you need to first configure your mail provider settings as explained in the previous section. Before sending mails, you need to configure your mail account settings (see the above session Configuring mail settings). You can send a mail using the [-w|--sendmail] parameter. The client ask for the mail header fields content (From/To/Cc/Subject) and the body of your mail. At the end of the body, terminate the mail with EOF or a dot at the start of an empty line. Many thanks for your OSS Perl client. By default, the Perl client does only use DNS ressource records of type IPv4 Address ("IN A" RRs, see RFC-1034 for more information). Downstream sessions can be about 2 times faster using "IN TXT" RRs. It's not the default behaviour because those requests can easily be filtered or detected. To use "IN TXT" RRs types, juste add the [-F|--fast] option on the command line. This option is available with every command line parameters that involve DNS queries (mail management, channel forwarding, named user registration, web proxifying...). The Perl client bursts out parallel DNS queries for fast data transfer. Sometimes, you do not want to be detected or to affect temporarily your resolver performances. Two optional switches can then help you in such situations: - Using the [-s|--silent] option, you can avoid DNS queries bursting, waiting at least 100 ms between two queries; - Using the [-P|--parallel] option followed by a number, you can set the maximum number of parallel queries. Note that those behaviour options apply independently to each DNS channel. This means that if, for instance, you are using the [-X|--proxy] parameter, they apply independently to each of the many port redirections that can be active at a time (your browser may use more than one channel to connect to the proxy). Obviously, the throughput is decreased. Being detected often depends on the signal-to-noise ratio. We have seen previously how to lower the signal, let's see now how to increase the noise. This can be done using the option [-f|--fuzzy] followed by the number of fuzzy useless requests sent between two valid ones. Those requests have similarities with the valid ones but are directed to domains whose names are built by appending randomly words and TLDs chosen in dictionnaries included in the Perl client. You can mix together [-f|--fuzzy], [-s|--silent], [-P|--parallel] and [-F|--fast] options as you like, with any parameter of your choice (channel forwarding, mail management, ...). Of course, it is useless to select those options with a parameter that does not generate DNS queries like [-A|--anonymous] or [-u|--uuid] for instance. Two levels of verbosity can be selected using the [-v|--verbose] option and the [-d|--debug] option. The latter implies the former. The latter displays every DNS packets received or sent and the different high-level protocol messages. The DNS tunneling protocol implemented by the VPN-over-DNS clients and the server farm makes use of some technical parameters whose values should provide the best user experience. In some cases, advanced users can try to modify these values to fine-tune the protocol and get better performances. Here are some options used to modify the default values (each of these options must be followed by a number). [-m|--maxwrite]: change the byte count sent in one request. The highest possible value is 30 (default value). This parameter is ignored in fast mode. [-Y|--maxread]: change the byte count received in one request. The default value (64) may by increased to speed up the tunnel. This parameter is ignored in fast mode. [-M|--delay4msg]: waiting delay before retry (microseconds), only used when the server has not immediately processed a message. Default value: 200000. [-R|--delay4req]: waiting delay before retrying a DNS request that has been lost (microseconds). Note that the applied delay is this value multiplied by the number of tries to send the request. Default value: 1000000. [-a|--maxdelay]: maximum waiting delay (seconds) before retrying a DNS request. Default value: 8. [-P|--parallel]: maximum number of parallel requests. Default value: 20. [-b|--localbuf]: maximum number of local bytes sent before requesting for remote bytes. Default value: 1024. [-D|--delaychk]: delay between two checks for remote data for a redirected channel (microseconds). Only used when no need to send local data. Default value: 200000.